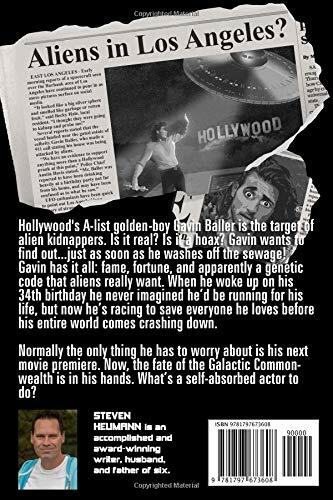 Hollywood's A-list golden-boy Gavin Baller is the target of alien kidnappers. Is it real? Is it a hoax? Gavin wants to find out...just as soon as he washes off the sewage! 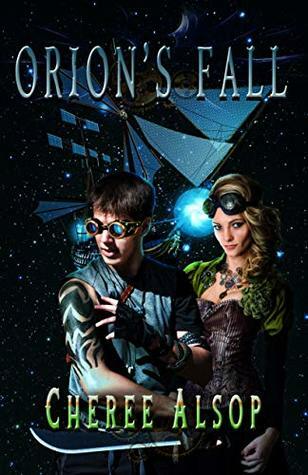 Gavin has it all: fame, fortune, and apparently a genetic code that aliens really want. When he woke up on his 34th birthday he never imagined he’d be running for his life, but now he’s racing to save everyone in his life before his entire world comes crashing down. Normally the only thing he has to worry about is his next movie premiere. Now, the fate of the Galactic Commonwealth is in his hands. What’s a self-absorbed actor to do? The Hunt for the Hollywood Clone is the beginning of a hilarious journey across the galaxy, which forces Gavin to become the hero he always pretended to be. Ready for a good story? Steve worked in television running his own outdoor television program, and left it all behind to become a full-time author. With a wife and six kids. Sound nuts? Well that's who we're dealing with here! Steven Heumann, founder of Super Heumann Creative graduated from the University of Utah with a degree in broadcasting and immediately put it to good use. He began working as a freelance writer for television production house Chadwick Booth and Company and worked his way up to Senior Producer. Working in this position allowed Steve to oversee the creation of a new half-hour program every week, one of the most demanding workloads in television. This gave him the opportunity to write extensively, edit, film, and even host in front of the camera for many years, honing his craft. There are quite literally over 500 individual episodes that bare his mark, along with a dozen documentaries, government projects, and ad campaigns. 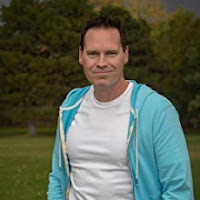 Despite his impressive television pedigree, Steve has spent a good portion of his time as an author, writing the contemporary science fiction novel 'Paper Heroes', as well as the popular 'Gavin Baller' series, and being published in Immortal Works newest Fairy Tale compilation, 'Of Fae and Fate'. He has directed almost a dozen short films, winning numerous international film awards in the process, including Best Screenplay and Best Director. Steve always says that without a great script you can't have a great movie, and so he has worked for over a decade to sharpen his writing craft by penning several full-length scripts and prepping them for production. Between his short feature works, full movie manuscripts, and television writing, Steve has produced over one thousand scripts in the past twelve years, with the vast majority of them going into full production. Whether writing, producing, or directing, Steven Heumann has proven himself a force to be reckoned with in the television and film-making worlds. 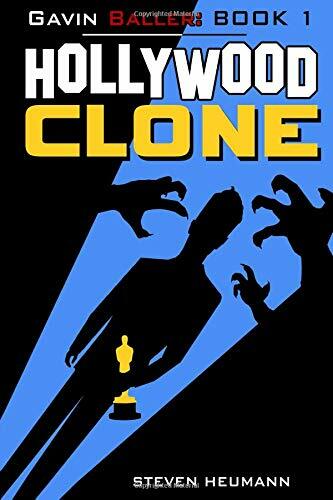 One winner will get a paperback copy of Gavin Baller: The Hunt for the Hollywood Clone by Steven Heumann! You can also follow mydoodlesateme to see all New Comics and Work in Progress doodles, sketches, photoshoots and BTS on Instagram first! JUST LAUNCHED ❤ Bookish Canvas Tote Bags! Super chic street style arm-candy for the forever book loving fashionistas in you. Ideal for all bibliophiles who love carrying their books with them EVERYWHERE! Meet your new lightweight, washable and super strong premium canvas tote bags! And if you care for the environment as much as we strive to, say goodbye (and good riddance!) to plastics & polybags every time you commute or visit the local stores. Go green and carry your books, lunch boxes or those absolute random knick-knacks (or even groceries!) absolute in style with the MyDoodlesAteMe range of Premium Canvas Tote Bags! Looking for more? Yup, there's always more! 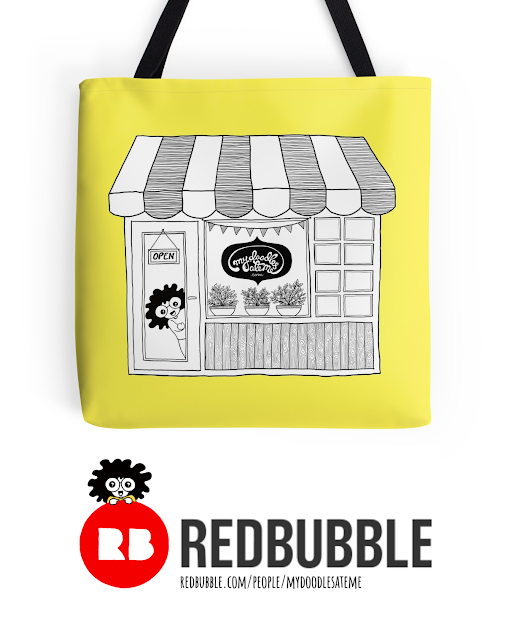 I'm always adding truck loads of new artwork, products and art prints on my Redbubble and Zazzle stores (World Wide Shipping!). Thank you for investing in a small homegrown brand ❤ You're awesome!